50% discount on all sprays. With that sale, we also added new Sprays to the Marketplace. Check them out! 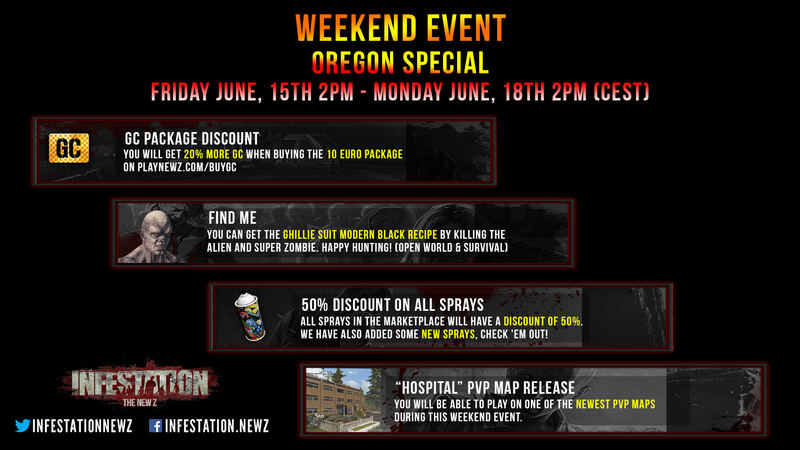 Hospital PVP map will available the entire weekend. Have fun! The Staff Team wishes everyone a great weekend! I just wanted to wish everyone a nice weekend! What did you think of this weekend event? Let us know your feedback!